The Political Science Department at Saint Joseph's University is firmly rooted in the Liberal Arts tradition of Jesuit education, and our curriculum offers students the opportunity to examine both the empirical and theoretical implications of politics, government, and the political process. The program fosters a broad definition of “politics” and encourages students to think about how politics is applicable to everything from elections to globalization to poverty and even popular culture. Our dedicated faculty guides students through a critical examination of the significant questions we face at the local, national, and global levels. From the timeless classics of political thought to the current issues affecting regional, national, and world politics, students develop an understanding of the increasing interconnectedness between domestic affairs and international trends. The Department emphasizes the importance of connecting the classroom to the wider issues in global, national, and local politics by organizing many events, trips, study tours, and internships throughout the year. 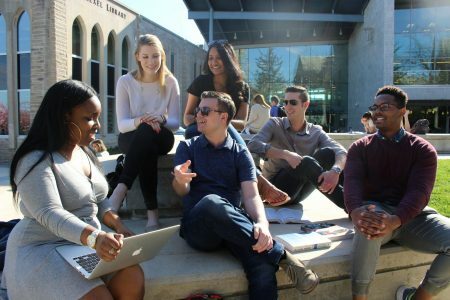 By encouraging its students to develop a life-long love of learning, a sense of responsible citizenship, the habit of critical analysis, and the ability to effectively express one’s self through speaking and writing, the Political Science major offers a solid foundation for graduate and legal studies, as well as careers in business, law, education, journalism, social services, communications, diplomacy, and politics.